How cute are these foam cup bunnies!? And they’re really easy to make! I love that you can make these little guys however you want. Use a paper cup instead of foam. Or use thick paper instead of craft foam. You can even make them from small white Dixie cups. Just use whatever supplies are easiest for you! 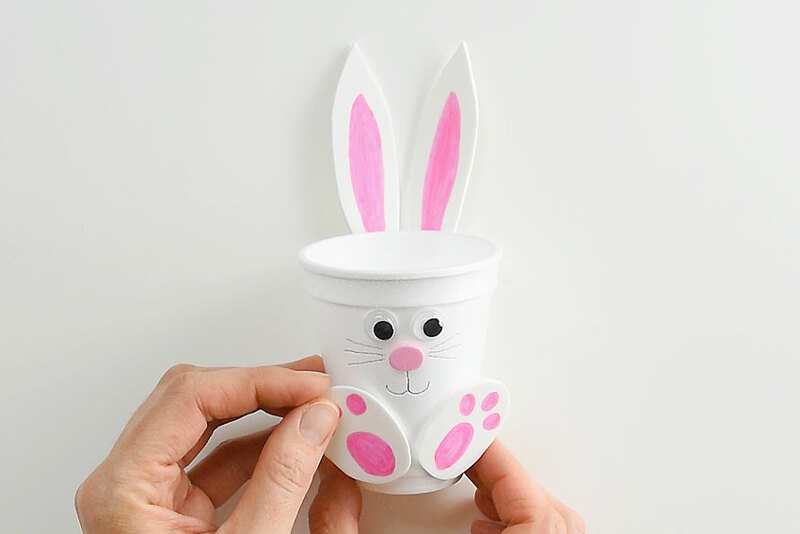 Each one of these foam cup bunnies takes about 5 minutes to make. Maybe 10 minutes if you’re making them with kids. So it’s quick and easy to make lots of them in a short amount of time! My kids have been waaaaaaaiting for me to finish these Easter posts so they can eat the chocolate eggs you see in the pictures. Once the post gets published and I’m sure I don’t need any more photos, they know they can help themselves to leftovers. And in the meantime, I’ve been using the chocolate eggs to cheer up the kids. My 4 year old gets soooo tired after school, so sometimes he needs a little chocolate pick-me-up. (Who doesn’t, right!?) Or apple sauce. Or hugs. It changes from day to day! 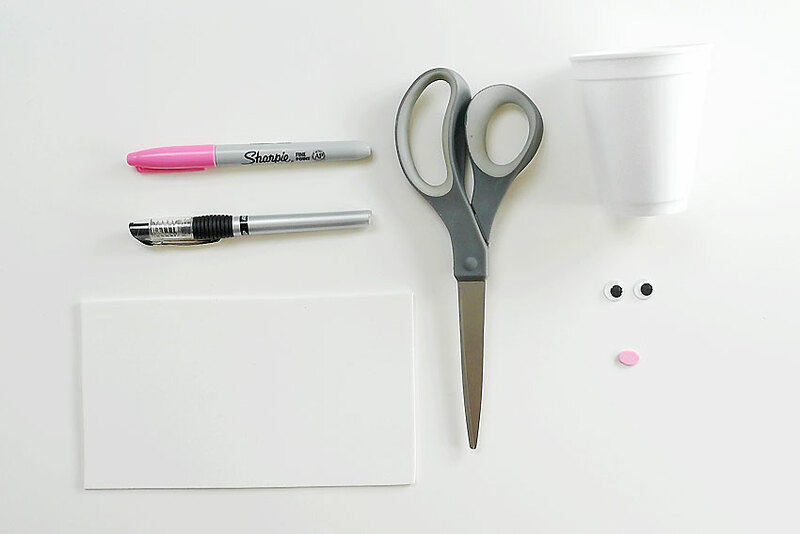 You can use any kind of white cup for this craft. I couldn’t find any white paper cups at my dollar store, so I used regular styrofoam cups. One styrofoam cup fits about one small bag of foil covered chocolate eggs. 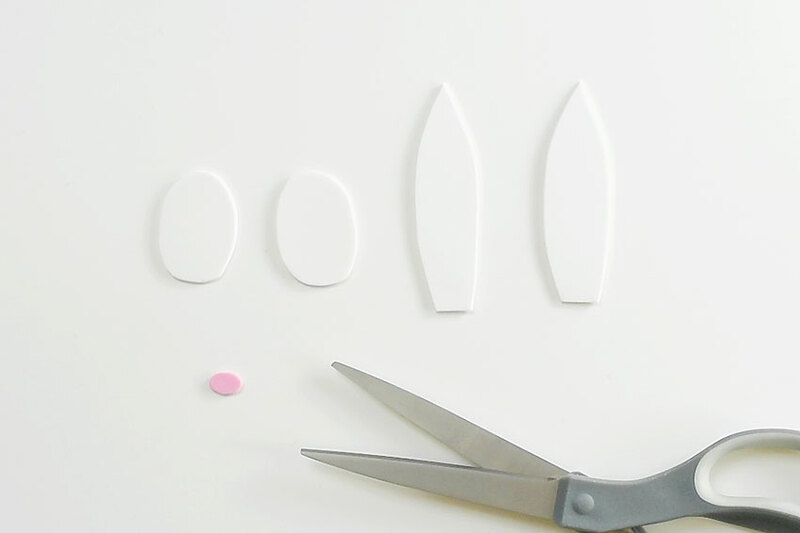 Cut out the shapes for the bunny’s ears and feet – two oval shapes for the feet and two long, pointy ear shapes for the ears. Finally, cut out a small pink oval for the nose. I used craft foam because I thought it would hold up nicely on the little foam cup bunny. But you can easily use card stock instead. Either will work, so just use whatever you find the easiest! Use a pink sharpie to colour the ears and feet. You can also use a pink washable marker for this, but I find that washable markers can smudge a little bit on craft foam. The ink from Sharpies stays put with zero smudging after it’s dry. What Kind of Glue Should You Use? If you’re using a styrofoam cup, I recommend using hot glue from a glue gun. Everything sticks pretty much instantly, and you don’t have to worry about the pieces falling off. You can get a low temperature glue gun from most dollar stores – which is a great option if you’re working with kids! My kids LOVE when I trust them with our glue gun. Of course it will depend on the child (and you know your child best! 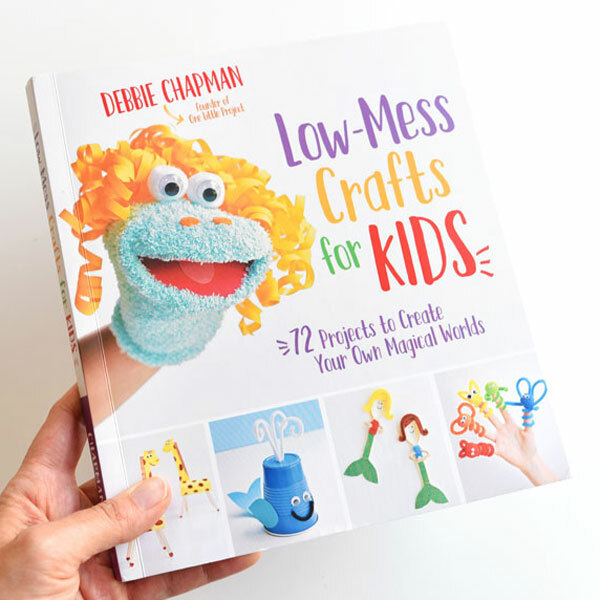 ), but most children are careful and so proud when you trust them enough to give them the extra responsibility of using a glue gun. You can also use white glue to attach the pieces. You just have to wait (patiently) for everything to dry. Since you’re gluing foam to foam here, there is a chance that the pieces might not stick as securely. I used a black gel pen to draw the face onto the cup. Looking back, I wonder if a black Sharpie would have looked better? What do you think? 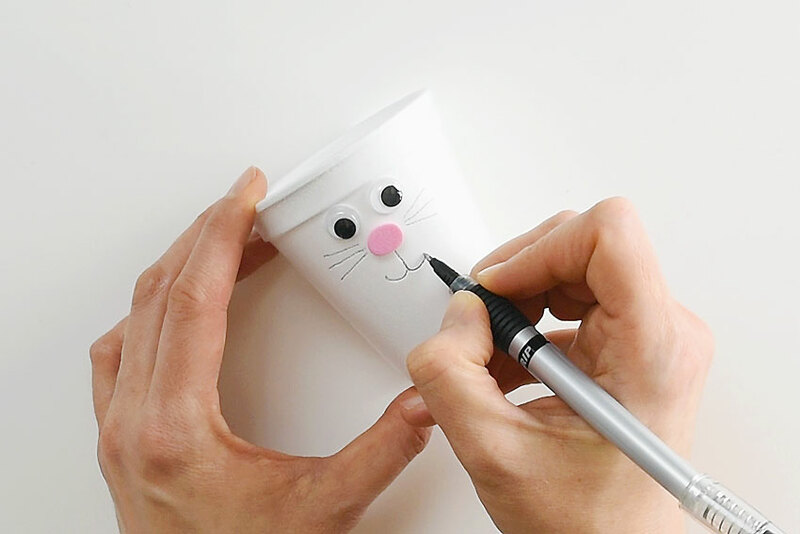 Attach the eyes, nose, ears and feet to the cup using a glue gun. What Can You Put In The Cup? Finally (and most importantly…), fill your cup with treats! 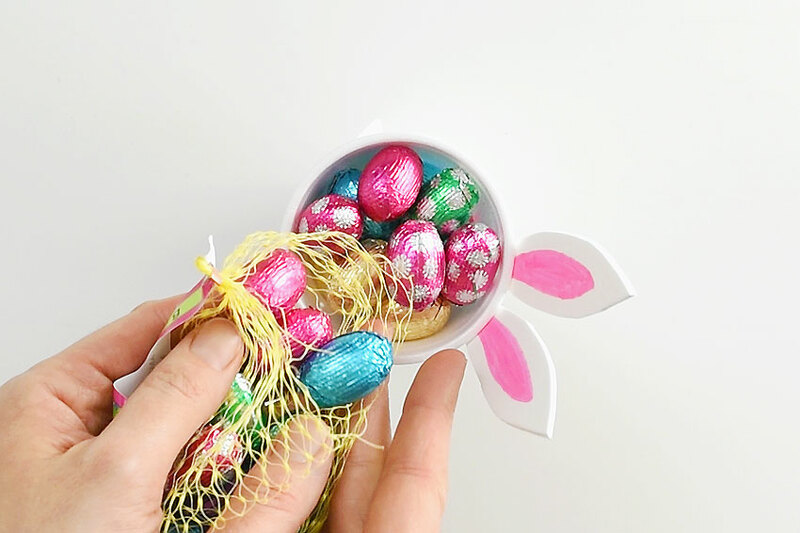 I filled ours with foil covered chocolate eggs from the dollar store, but you can fill them with whatever you like! M&M’s would be awesome. Or Mini Eggs, or even Easter Creme Eggs. Any small candy will work beautifully. 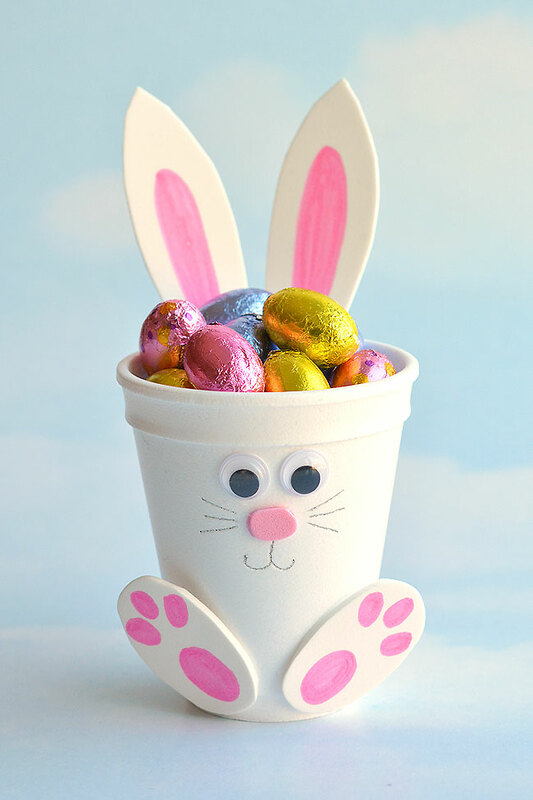 If you want to reduce the amount of candy you’re giving, make your bunnies smaller by using a white Dixie cup instead of using a full size foam cup. Dixie cups are less than half the size of foam cups. 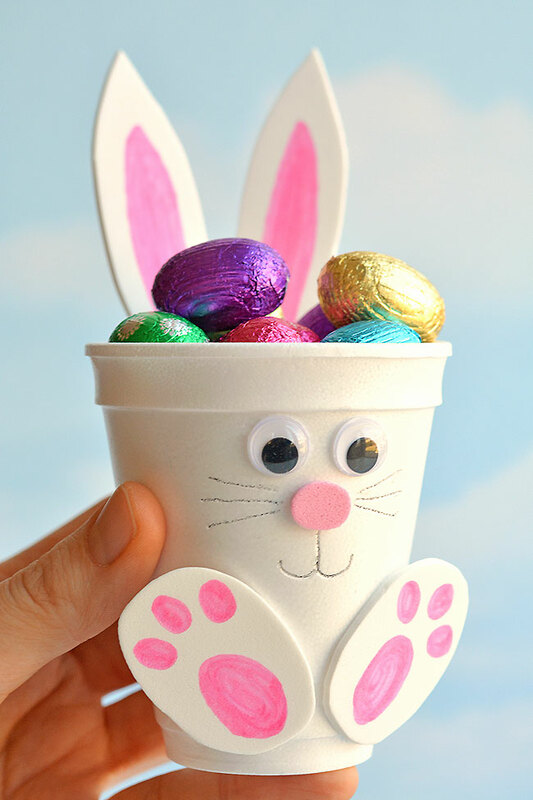 You could also fill your cups with Easter grass, and only add a small amount of candy on the top. Or you can skip the candy all together and fill the cups with small toys, like erasers, pencils, markers, or you could even fill them with small toys like Lego! They would look so amazing on the Easter table! 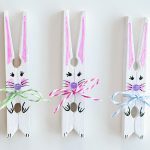 You could make one for each place setting as a little party favor for your Easter guests. You could even turn them into little planters! Fill your cup with soil, plant a seed inside and watch it grow! 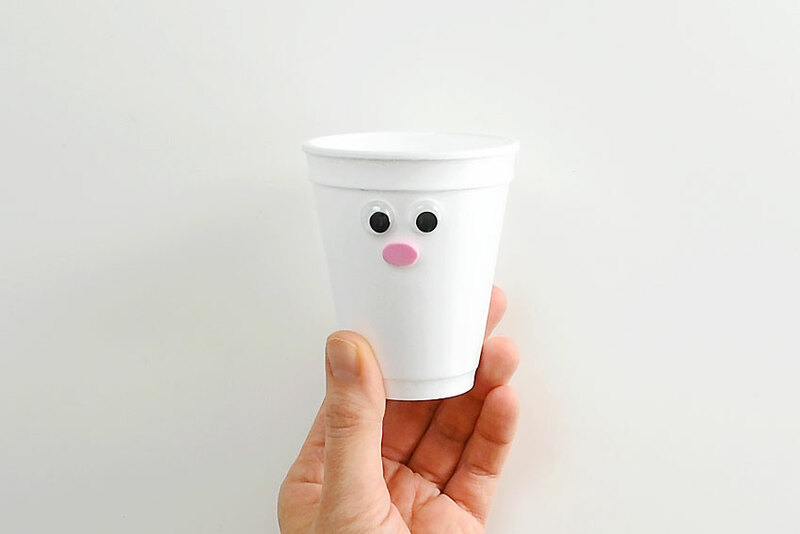 These foam cup bunnies are SO CUTE! I love how easy they are to make with simple craft supplies! 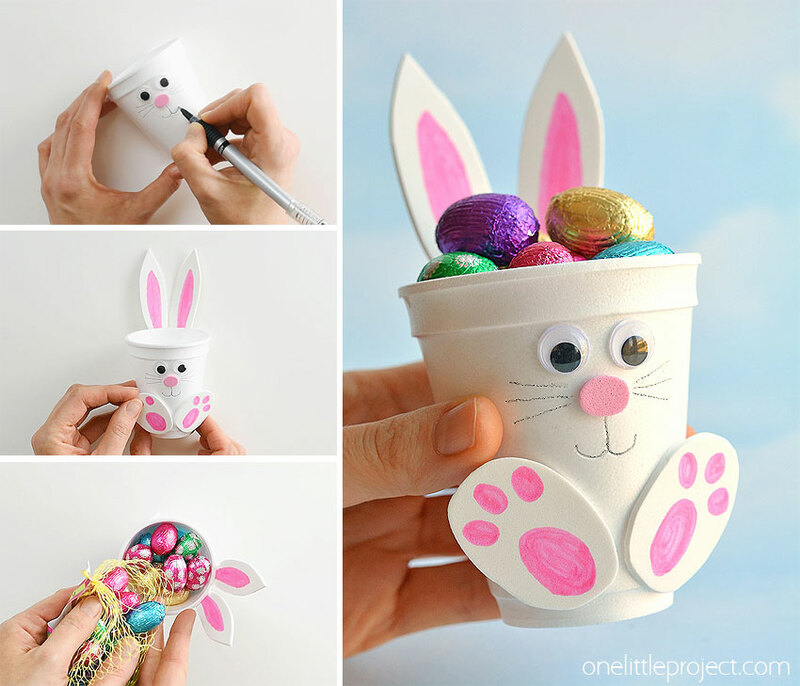 Fill them with candy, chocolate eggs, pencil crayons, or even small toys. They take less than 10 minutes and make an awesome Easter treat idea! 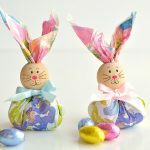 Make them as a decoration for the Easter table, or give them away as small Easter gifts. 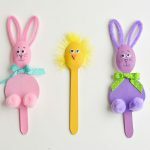 This is such a fun Easter craft for kids! 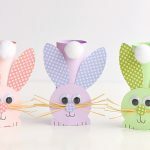 If you’re looking for more Easter treat ideas, check out our tutorial for making paper napkin bunny favors. 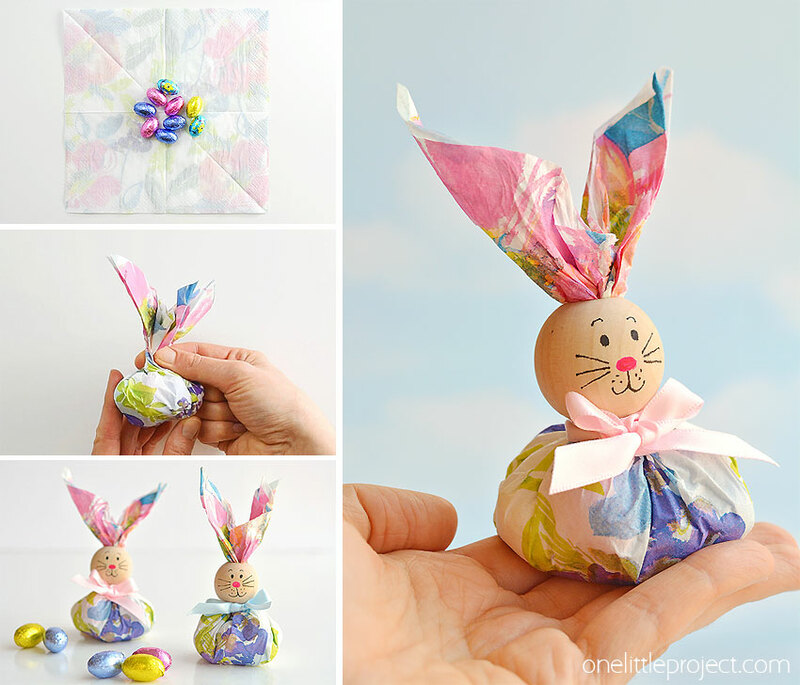 These are so cute and so simple to make! 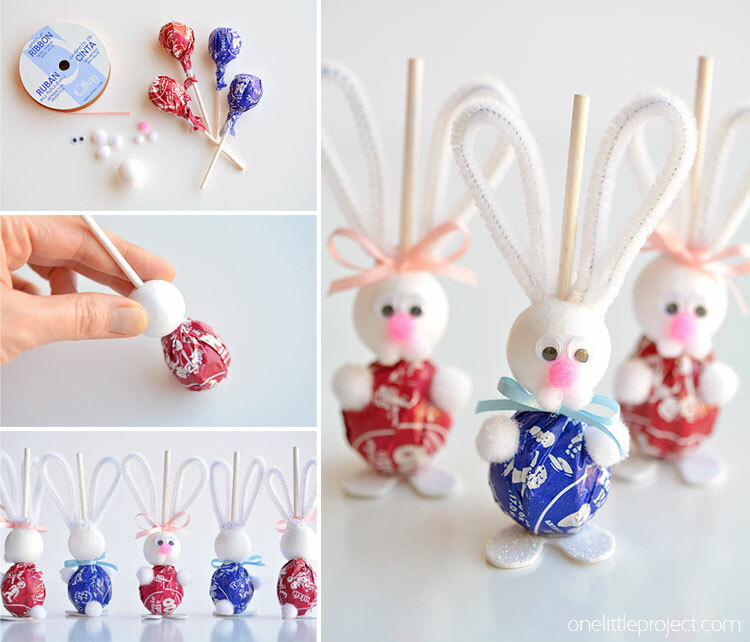 Or you can make these awesome lolly pop bunnies from Tootsie Pops. Those faces just make me smile! I have always loved Lori, but she did wrong I feel sorry for the boys and girls that could not get in, because of what she did. It always make me mad when people that have money use it the wrong way.